Meditation doesn’t have to be sitting in the same pose doing variations of the same thing time after time. This can become boring to some and make them lose their interest in meditation. There are different more fun kinds of meditation though such as this eating meditation that will develop mindfulness. For this technique you will need something to eat and a comfortable chair. 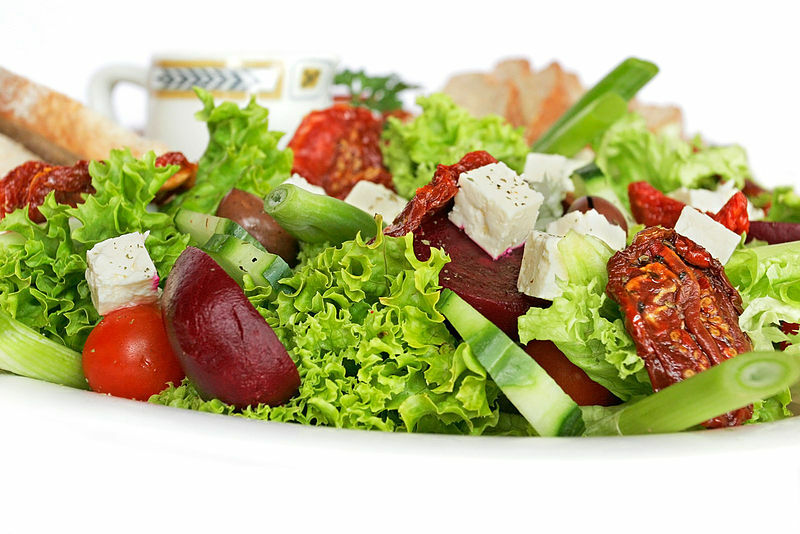 I recommend food such as a salad containing as many different types of flavors and textures as possible – lettuce, tomatoes, peppers, cucumbers, spinach leaves, beetroot, onion and pumpkin seeds all make for good ingredients. Once you have prepared your salad sit down with it and take a moment just to look at it and all the colors that it holds – the greens of the lettuce and spinach leaves, the reds of the tomatoes and peppers and so on. Hold the salad to your nose and try to smell the scent of each ingredient you have placed in your salad individually. Take your fork and feels how it passes through each item of food. You’ll find it passes through lettuce much differently than it does a tomato. When you are ready take your first mouthful. Chew slowly and allow the salad time to dance on your tongue so you can fully appreciate the flavours. Experience the different textures that different vegetables hold. After you have swallowed the first mouthful take a short moment to think about everything you have experience just from eating a small amount of salad. You might notice that there is now more saliva in your mouth as your body readies itself to ingest more. Experiment eating different ingredients in different combinations – you may take a mouthful of lettuce, tomato and peppers in one bite and then spinach, tomato and pumpkin seed the next. Continue to eat in this slow, deliberate manner until you are full. You don’t have to finish the salad if there is some left. Just eat until you feel your hunger is satiated. Besides developing mindfulness this eating meditation is also an excellent method of losing weight. As you eat more slowly and appreciate the rich flavors of the food you are also allowing your brain to register when you are full. This will help guide you to stop eating at an appropriate time for your nutritional needs. This a great information, I usually do meditation on every day at morning 4:30 am. That’s give me a lot of energy to my mind and freshens.